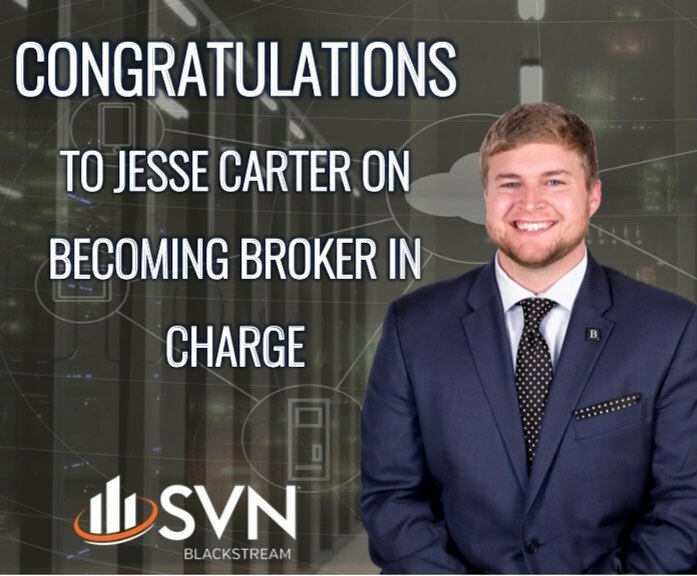 SVN BlackStream- Greenville: Jesse Carter has been named Broker-in-Charge of our Miller Road and Brendan Way offices. Jesse has been involved in a wide variety of areas with the company as Senior Vice President. He has worked in Compliance, Development, Recruiting, Training, Technology, Corporate Services, Finance and as an Advisor. Jesse will continue handling the management and development of our new Advisors at Miller Road, while still assisting our Executive Team in its Regional endeavors. Jesse will work closely with Lars Gruenefeld and Keith Nelson to ensure outstanding quality in our transactions.